Dr Liza O'Moore's research interests are in: reinforced and prestressed concrete design, concrete technology, time-dependent properties of concrete and durability of concrete structures. Liza has over 20 years experience in structural and concrete design. After graduation Liza joined a local consulting firm and worked mainly in the areas of industrial and commercial structural design. Upon completion of her postgraduate research, she joined the Civil Structures group in the Brisbane office of Arup. During her time with Arup as a senior engineer and then associate, she was involved in a number of reinforced concrete design projects undertaken both locally and overseas. In January 2001, Liza joined the academic staff in the Department of Civil Engineering at the University of Queensland. She is currently teaching in the areas of reinforced concrete and concrete design and applied mechanics. Her research interests are in the areas of creep and shrinkage of concrete structures, durability, high performance concretes, the performance of industrial slabs and pavements and geopolymer concretes. She is a member of the Institute of Engineers and is currently a committee member of the Queensland branch, and was a member of the National Council (2007-2015) and National Executive (2009-2015). Liza served as the first female National President of the Concrete Institute of Australia (2011-2013). Liza is also active in the area of Engineering Education. She teaches into first and second year engineering and leads the final year capstone design project. Liza has research interests in the areas of transition and preparedness for first year, graduate competencies and large class teaching. Liza has been awarded School of Engineering Teaching Excellence Awards in 2005 and 2006, EAIT Faculty Teaching Award 2007, and a special EAIT Faculty Award for Sustained Excellence in Teaching (2012). 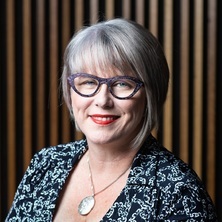 In 2010 Liza was awarded a UQ Award for Teaching Excellence, which was followed in 2011 by an Australian Learning and Teaching Council (ALTC) Citation for Outstanding Contribution to Student Learning. She was a project team member on the OLT funded “Get set for success: using online self-assessments to motivate first year engineering students”. Liza has undertaken interdisciplinary research in the areas of competence assurance and the use of simulators for CRC – Rail. Liza has also provided advice on accreditation of VET sector Associate Degrees, and in the curriculum development for new BE (Civil) programs at tertiary level. In 2014 Liza was part of the expert team of national and international experts in Civil Engineering Education advising Charles Sturt University on the development of Australia’s first graduate entry five year Engineering Master’s program commencing in 2016. Hourigan, Matthew, Heywood, Rob, Shaw, Peter and O'Moore, Liza (2018). Assessment and behaviour of prestressed concrete bridge beams in shear with less than minimum shear reinforcement. In: Stephen Foster, The International Federation for Structural Concrete 5th International FIB Congress FIB 2018 Better Smarter Stronger, Melbourne, Australia, (). 7-11 October 2018. Nguyen, Duy H., Dao, Vinh T. N., O'Moore, Liza and Dux, Peter (2016) Early-age properties of micro-fibre concrete. Concrete in Australia, 42 1: 36-44. Meyer, Jan H. F., Knight, David B, Baldock, Thomas E., Callaghan, David P., McCredden, Julie and O'Moore, Liza (2016). What to do with a threshold concept: a case study. In Ray Land, Jan H. F. Meyer and Michael T. Flanagan (Ed. ), Threshold concepts in practice (pp. 195-209) The Netherlands: Sense Publishers. 王冲 Wang, Chong and O'Moore, Liza (2009) 超高强微钢纤维增韧混凝土的制备及其力学性能研究. Research on preparation and mechanical properties of super-high strength steel micro-fiber toughened concrete. Tumu Gongcheng Xuebao, 42 6: 1-8. O'Moore, L. M., Baweja, D. and Dux, P. F. (2008) Investigation of early age restrained shrinkage in slabs and standard drying shrinkage. Concrete Forum, 1 1: 34-46. O'Moore, Lisa M. and O'Brien, Kate R. (2009). Impact of supplementary cementitious material content and transportation distance on greenhouse gas emissions embodied in concrete. In: I.Gilbert, Concrete Institute of Australia 24th conference 2009. 24th Biennial Conference of Concrete Institute of Australia (Concrete 09), Sydney , Australia, (1-9). 17-19 September 2009. O'Moore, Liza M. and Dux, Peter F. (2009). Lapped Splices in Reinforced Concrete Slabs: An Experimental Review of Current and Proposed Code Revisions. In: R.I. Gilbert, 24th Biennial Conference of the Concrete Institute of Australia. Concrete Solutions 09 - Adding Value in Changing Times, Sydney, Australia, (x-x). 17-19 September 2009. O'Moore, Liza, Baweja, Daksh and Dux, Peter (2005). Investigation of Early Age Tensile Stresses, Shrinkage Strains in Pavements and Standard Drying Shrinkage Tests. In: 22nd Biennial Conference of the Concrete Institute of Australia 2005 - Conc05 - Issues Opportunities Innovations. 22nd Biennial Conference, Concrete 05 - Issues Opportunities Innovations, Concrete Institute of Australia, Melbourne, Australia, (1-14). 17-19 October, 2005. Dao, V. N T, Dux, P. F. and O'Moore, L. M. (2005). Punching shear of slab-column connection in flat plate construction. In: Young Researchers' Forum - Proceedings of the International Conference. 2005 International Congress - Global Construction: Ultimate Concrete Opportunities, ,, (183-190). 5-7 July 2005. Dao, V., Dux, P. F. and O'Moore, L. M. (2005). Punching shear of slab-column connection in flat plate construction. In: R. Dhir, J. Halliday and E. Csetenyi, Proceedings of the 2005 International Congress on Global Construction. 2005 International Congress Global Construction, Dundee, Scotland, (183-189). 7 July 2005. Crack Control - are we getting it right? O'Moore, L. M. and Dux, P. F. (2003). Crack Control - are we getting it right?. In: Concrete Institute of Australia, Developments in slab and pavement construction. Developments in slab and pavement construction, Epping, NSW, (1-24). 1 October, 2003. Dux, P. F. and O'Moore, L. (1999). A comparison of predicted and measured Time - dependent deformations in high strength concrete columns. In: Dr C. T. Tam (NUS), Proceedings of 24th Conference on Our World in Concrete and Structures. 24th Conference on Our World in Concrete and Structures, Singapore, (283-290). 25-26 August 1999. O'Moore, L.M. and Dux, P. F. (1995). Time-dependent axial deformations in high strength concrete columns. In: Proceedings of Concrete 95 Towards Better Concrete Structures, International Conference of the Concrete Institute of Australia and Federation Internationale de la Precontrainte. Towards Better Concrete Structures, Brisbane, Australia, (201-210). 4-7 September 1995. O'Moore, Liza Maree (1996). Time-dependent behaviour of reinforced and plain high strength concrete columns PhD Thesis, School of Engineering, The University of Queensland.